Across America, motor vehicle collisions are the number one cause of workplace fatalities. Did you know that between 1998-2007 22% of all workplace fatalities in Washington were the result of roadway crashes? Did you know that each week, nearly 10 Washingtonians die on our roads? My name is Tom Odegaard and as President of Evergreen Safety Council I would like to invite you to help us change that statistic. Each year, our organization works in partnership with the Washington Traffic Safety Commission and the National Highway Traffic Safety Administration to present a one-day Washington Traffic Safety Conference. Aimed at Washington organizations and businesses, we believe that if we can make an impact at work, individuals will carry the safe driving message home to their families…thus making the roads safer for everyone. The 2010 Washington Traffic Safety Conference will be held in Burien at the Washington State Criminal Justice Training Center on May 20. Our presenters include a nationally known researcher, a highly respected sleep medicine doctor, NHTSA and WTSC representatives as well as state Senator Tracey Eide who sponsored Washington’s new cell phone/texting law. Topics being addressed include: distracted driving and Washington’s new cell phone/texting law; issues dealing with speed, nighttime driving, and worker/driver fatigue issues. We will also have presentations on the liability issues surrounding employees who are involved in substance abuse (including prescription drugs), and why it is important to train your employees. We believe that every attendee will benefit from attending this conference. Why should you, your co-workers and your business associates attend? This conference can provide an immediate value for all attendees. By taking the information, forming a company policy, training employees and enforcing the policy for all drivers, incidents involving motor vehicles will be reduced. Reducing motor vehicle crashes has a direct, positive impact on the bottom line of all businesses through reducing lost time, repair costs, and insurance premiums. Most importantly, by taking what is learned at this conference and applying it to their organization, an employee’s life may be saved. How do you put a value on that? What can you do? We would appreciate it if you informed your friends, co-workers and associates of this conference and encourage them to attend. Thank you and I hope to see you on May 20. On Friday April 30, 2010, Oprah Winfrey and Harpo Studios are taking a stand against distracted driving, launching a new sponsored public service announcement campaign and joining forces with some of the country's preeminent transportation safety organizations to declare Friday, April 30th the first national "No Phone Zone Day." A large-scale effort to honor victims of distracted driving, "No Phone Zone Day" will also educate and activate Americans to end the deadly driving habits that kill nearly 6,000 Americans a year, according to the National Highway Traffic Safety Administration. In addition, texting and distracted driving will be key topics at Evergreen Safety Council's Washington Traffic Safety Conference on May 20th in Burien. National Organizations for Youth Safety (NOYS) hosts the annual National Youth Traffic Safety Month (NYTSM) campaign held each May during prom, graduation, and the beginning of the summer driving season. The 2010 NYTSM focus is distracted driving prevention encouraging all youth to pledge not to use their phone while driving. "The mix of inexperienced drivers with phone use while driving is a deadly combination" said NOYS executive director Sandy Spavone. "NOYS youth leaders and coalition members working with Oprah's 'No Phone Zone Day' to prevent crashes caused by inattentive drivers is the perfect kick off to a month of activities led by youth for youth to address distracted driving. We encourage everyone to take the pledge." This Friday April 30th, "The Oprah Winfrey Show" will present a special live episode devoted to ending distracted driving. In conjunction with the episode, Harpo Studios is mobilizing communities to take action at "No Phone Zone Day" viewing rallies to be held in Atlanta, Boston, Detroit, Los Angeles. The planned rallies will bring together victims' families, elected officials, advocacy organizations, parents, youth, and law enforcement to discuss best practices and steps to limit distracted driving in their own communities. by just not texting while they drive. Studies show it's safest to not use your phone at all while driving. More than 185,000 people to date have signed Oprah's "No Phone Zone" pledge at Oprah.com. Many celebrities have already joined the cause, including Oscar® winners Sandra Bullock, Jeff Bridges and Mo'Nique, comedian Jerry Seinfeld, actress and icon Raquel Welch, Olympic superstar Shaun White, country music's Lady Antebellum, entertainer and entrepreneur Tyler Perry, the cast of TV's "Glee" and many more. A 2008 NHTSA study indicated that at any given moment during the daylight hours, more than 800,000 vehicles are being driven by someone using a hand-held cell phone. According to a 2005 study for the Insurance Institute for Highway Safety, drivers are four times less likely to get into accidents serious enough to cause injury when they turn off their cell phones while behind the wheel. For more information on "No Phone Zone Day," and to take the No Phone Zone pledge, please visit www.oprah.com/nophonezone. To learn what you can do to improve traffic safety in Washington, plan on attending the Washington Traffic Safety Conference on May 20th in Burien. Yes it’s a corny story, but how many times do we go ahead with a task, taking an obvious risk, because the preliminary work is not completed, and perhaps put ourselves or others at risk when we do so? The following photo is a case in point. Apparently, the road bed preparation, of this road widening project was finished and the paving crew was ready to go, and the paint-stripping crew wanted to take advantage of the sunny weather to get the lane marking completed, too . . . . . but the utilities company hadn’t yet gotten a crew out to relocate the pole. At least the hazard is marked with barrels, but barrels often get “bumped” out of the way, leaving this all too solid and unmoving utility pole in harm’s way. Before you start a task, take a moment to list the others who may be affected by your work. Is someone else being put at risk, if you were to go out-of-sequence or skip a step in the process? Following the proper work flow sequence is a major component of several of Evergreen Safety Council’s series of courses comprising our Safety & Health Specialist certification. If you have an interest in supporting safe work practices for your company, and want to have a better understanding of the spectrum of safety concepts of which you should be aware, contact us or check our the Safety & Health Specialist option on our website. I would like to thank Dr. Michael Silverstein, L&I Manager of DOSH and Mr. Dale Cavanaugh, Assistant Regional Administrator OSHA Region 10, for making their presentations at the Puget Sound Safety Summit on April 14, 2010 in Seattle WA. They both gave informative presentations regarding their respective organizations and what businesses will be facing in the future. They both felt the penalties for violations are too small to provide incentive for some employees to comply with the rules and regulations, and they felt by raising the penalties for violations would be appropriate. They felt American workers still face unacceptable hazards. More than 5,000 workers are killed on the job each year, more that 4 millions are injured and thousands more may become ill later on from occupational exposures. The workplace has changed since 1970 when some of the worker regulations first came into effect. Most employers want to do the right thing. You should expect more aggressive enforcement for both DOSH and OSHA here in the Northwest. Training in workplace safety will definitely be a good addition to your current plans. Safer work places have a higher morale factor and job satisfaction and work efficiency improve. Get your employees involved in your health and safety training now. You will be glad you did. We here at Evergreen Safety Council will gladly help you with all your safety training needs. Call in and ask about our new Total Safety Compliance training system and customize it to your company. Please call Roger Hurst or Tina Bacon at 206-382-4090 to learn more. According to the American Heart Association more young people are having strokes while older people are having fewer, according to data from Ohio and Kentucky presented at the American Stroke Association’s International Stroke Conference 2010. Stroke, often considered a disease of old age, is declining in the elderly and increasing at younger ages. The percentage of strokes occurring in people under age 45 has grown significantly since the 1990s. To read the entire article please follow this link. A new analysis has been completed by the Washington State Department of Licensing, the agency has wanted to connect Motorcycle registration data with driver's Motorcycle endorsement data. This analysis was run on about 50% of the vehicle registrations in the DOL data base, because just recently the DOL has been able to link the data bases for the vehicle registrations and driver licenses on about 50% of the data base. With this type of analysis the DOL is hoping they will be better able to connect the dots and find ways to improve the motorcycle compliance rate. If you are one of these motorcycle owners and riders who does not have the proper motorcycle endorsement you can get yourself legal by taking a motorcycle safety course from Evergreen Safety Council. With the successful completion of most Evergreen motorcycle safety courses you qualify for a license waiver, which waives any further testing at the DOL when you go to get your motorcycle endorsement. Remember, little kids don’t understand instructions and often aren’t listening, so despite calling out the warning that you are backing up, you can’t assume they all moved out the way. Other children are easily distracted and cannot be counted on to warn the toddlers that you have announced you are backing up. Most kids won’t even notice if a little one is still in the way This is the drivers responsibility 100%. You must always be absolutely sure no one is behind you. If you are not get out the car and check for yourself. Make training on ongoing process, and reassess training needs frequently to make sure you're meeting today's needs, not yesterday's. Encourage employees to talk about their training needs and request additional training. Provide employees with opportunities to use newly learned skills on the job. Make sure your training is comprehensive, interesting, and interactive, and gives employees the chance to practice new skills in a safe setting. Send employees back to work with learning aids such as checklists, step-by-step instructions, and safety reminders that help them safely and effectively transfer newly learned skills to their job. Companies that invest in employee learning have higher productivity, revenue growth, and profit growth than companies that do not. Employee training is a fundamental determinant of customer satisfaction, sales per employee, and market capitalization within an organization. Employee satisfaction with opportunities for learning and development is one of the most important predictors of whether an employee will stay with his or her current employer. Opportunity for training is one of the top three things people consider when deciding where they want to work. 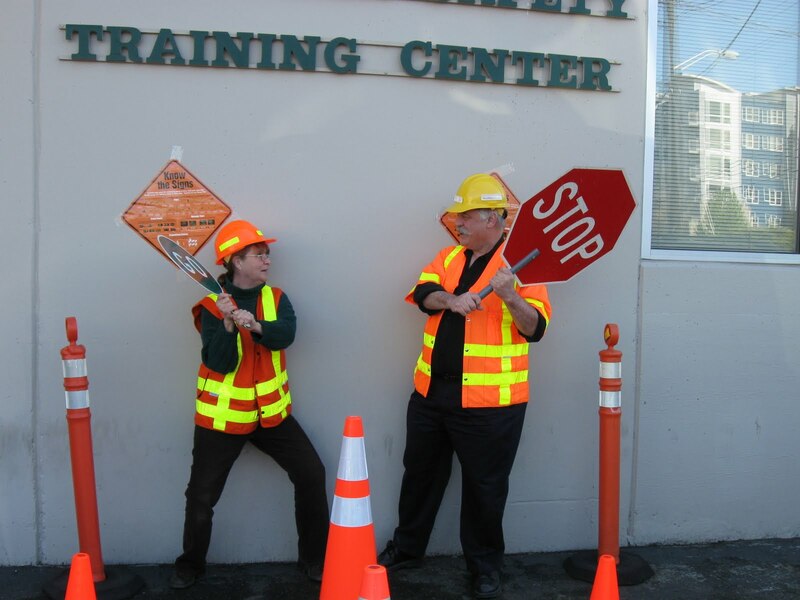 If you're located in the Puget Sound region, ESC's Total Safety Compliance program can provide one-stop service for safety training at your company. ESC will design and administer a custom Total Safety Compliance program for your company for a fixed monthly rate for a three year term. Never worry again about expired certifications, complying with the new regulations, scheduling required training for new employees, or maintaining safety training records. For more information on how ESC can assist your company in achieving Total Safety Compliance, contact Roger or Tina @ (206) 382-4090. On November 9, 2009 the US Chemical Safety Board released a safety message video regarding improperly installed or modified pressure vessels have led to a number of serious chemical accidents. In past dealings with hazardous materials and pressure vessels we cannot emphasize the importance of correct installing and or repair/modification to pressure vessels. If you would like to view this video message, please following this link. If you are interested in more information, check out the Chemical Safety Board website. A new study by the Insurance Institute for Highway Safety indicates that motorcycles with antilock brakes have fewer fatal crashes and lower insurance losses than bikes without antilocks. You can read the full Press Release here. The National Work Zones Safety Week (April 19 – 23) will kick off in New York City this year. The theme this year is “WORK ZONES NEED YOUR UNDIVIDED ATTENTION” The goal is to remind drivers how they can help keep everyone in a work zone safe. Nationally in 2009, 720 workers and motorists were killed in highway work zones and more than 40,000 were injured. Eighty five percent of those killed in the work zones are drivers and passengers. These people could be your family, friends, or a neighbor down the street. Help to encourage everyone to pay attention in work zones and help save lives. 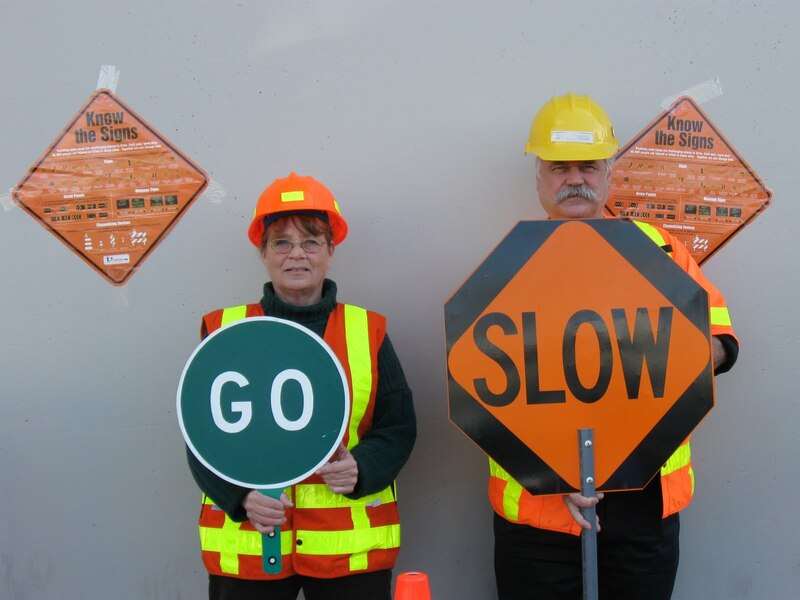 Join Evergreen Safety Council to support the men and women working to improve our highways, roadways and streets by promoting safer driving through our work zones by going orange for work zone safety week. Here is how you can participate. Take a picture of you, your company, agency, family, friends, team mates, and/or fellow students wearing orange or use your imagination and have fun. Then email or submit it to workzonesafety.org web site. Click on the National Work Zone Safety week link, which will take you to the location you can email or submit your picture through Flickr.com...And don’t forget to say why you are going orange. 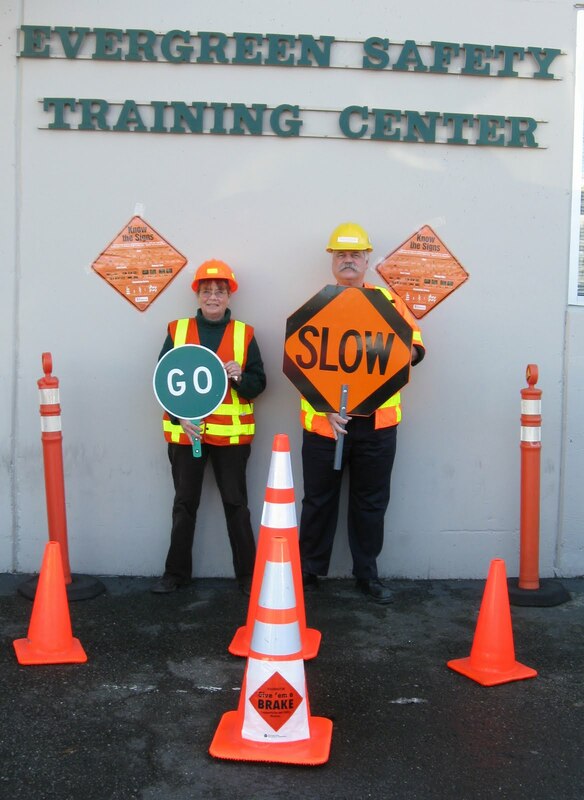 Evergreen Safety Council promotes safe driving both in and out of work zones through our EverSafe Driving program and by our work zone safety training programs. Here are some tips for safer driving through the work zone. • Pay attention to what the signs are telling. They tell you about the work underway. • Be prepared to slow down when conditions indicate road, weather, and workers just feet away. Go to http://www.wsdot.wa.gov/ on their home page, type in the search box National Work Zone Safety week and you will see more information on local events planned. Safety training reduces accidents and protects employees from injuries and illness, saving the company the cost of lost time, diminished productivity, and increased insurance premiums. Training also assists in compliance with OSHA standards and decreases the chance of being cited and fined for safety and health violations. Training in general increases employee job satisfaction, motivation, and morale. Happy, motivated, safe, and well-trained employees are loyal employees, which means turnover goes down. Employee training and development provides you with a pool of skilled and knowledgeable people who can move up in the organization and fill critical jobs and perform critical functions. Training helps your organization ride the crest of technological change and innovation. Well-trained, highly skilled employees are more efficient, productive, and creative. Training helps you manage risks such as sexual harassment, workplace violence, and discrimination. A trained workforce provides the human resources to expand into new markets and seize opportunities in a highly competitive and fluid global economy. Training helps develop a positive organizational culture in which confident, knowledgeable, creative employees are poised to provide superior products and services to customers. I hope you’re still feeling great pride about the victory we all achieved in Olympia last month! The Driven to Distraction Task Force is moving full-steam ahead with plans for ensuring that this new law translates into real change in driver behavior—and truly saves lives in our state. I just got back from a great meeting in Olympia, convened by the Washington Traffic Safety Commission. State agencies and private groups like ours are gearing up to complement the new bill with the two ingredients we know are necessary for behavior change: strong enforcement and public education. Once again, I want to ask for your ideas. Winning ideas in each of the two categories below will win a $100 Amazon gift certificate. The state and private groups are hoping to help create a clear, compelling, coordinated slogan prior to June 10 (the date when the new law goes into effect) to make everyone in WA aware of the consequences of cell phone use. If you submit a slogan to info@nodistractions.org by 5 pm on April 23 which gets adopted, we will send you a $100 Amazon gift certificate. It must be short and pithy enough to fit on a bumper sticker or road sign. Therefore, it should be no more than 40 characters. It should not rely on scare tactics. Research shows that it’s usually not effective to try to scare people into changing their behavior. Research shows that effective slogans make the link to enforcement consequences (e.g., “Click It or Ticket” and “Drive Hammered—Get Nailed”). It must not focus exclusively on texting or on handheld phone use. It should encapsulate both. It should not be tailored just to one group of drivers, such as teens. It must be quite broad in its reach. It must avoid potentially offensive language. Various groups, including ours, are interested in staging a visually compelling event on or around June 10, the day the law goes into effect. If you submit an event idea to info@nodistractions.org by 5 pm on April 23 that gets adopted, we will send you a $100 Amazon gift certificate. The event must have the potential to attract significant traditional- and new-media coverage. The event should be built around this message (not the right language, but you’ll get the idea): “The new cell phone law is for real. The police are going to be enforcing it. You’re going to get pulled over unless you put down the phone.” We do not want the message of the day to be, “Go get a Bluetooth device,” because even though Bluetooth is still legal, the data show that it is not safer than talking on a handheld phone. The event should not focus on share tactics (see above). The event should involve prominent figures, but it needs compelling visuals and not just speeches. For reference, the Driven to Distraction Task Force created a very successful media event at Qwest Field in January, in which prominent figures drove a controlled cones course while talking and texting on cell phones. I hope you’ll participate in these important contests--and involve your families, friends, and colleagues as well. And I can’t thank you enough for your interest and support over these past months! Apparently the worker in the photo must have believed the message on the banner to “THINK Safety” applied to only those working on the shop floor. And, no pun in tended, he was above the rule. The Washington Administrative code makes it pretty clear; the workers feet belong firmly on the platform floor, no where else, and certainly not on the guard rails. Evergreen Safety Council offers training for elevating work platform operators and an instructor program as well. Give us a call at 1-800-521-0778, to see how we can cost effectively help you meet your companies’ safety training needs. Although the tragic incident at a Washington refinery brings to light the dangers of the refinery industry, it also brings to light the need to safely manage highly hazardous chemicals no matter where they are being used. According to OSHA the unexpected releases of toxic, reactive, or flammable liquids and gases in processes involving highly hazardous chemicals have been reported for many years in various industries that use chemicals with such properties. Regardless of the industry that uses these highly hazardous chemicals, there is a potential for an accidental release any time they are not properly controlled, creating the possibility of disaster. Beside the petroleum industry there are a good deal of companies that do use highly hazardous chemicals, one such is ammonia for refrigeration or possible chlorine for water treatment, just to name a few. If your business does use, store or manufacture certain highly hazardous chemicals and the amount is above the listed threshold in WAC 296-67 you are covered under this standard. Here is something for all us motorcyclists to think about as we get older and realize we are not invincible. Check out this news release from the University of Rochester Medical Center. Motorcycle riders across the country are growing older, and the impact of this trend is evident in emergency rooms daily. Doctors are finding that these aging road warriors are more likely to be injured or die as a result of a motorcycle mishap compared to their younger counterparts. Gotta’ watch those slippery pedestrians! Maybe this is why the pedestrians are so slippery? Pay attention to the signs when you are driving, and if you see one that should be added to our collection, send it to us, and we’ll share it on our web site.